Over the last three days, weekend one of the California-based music festival is over and done with and your Instagram feed can return to normal. Every year, the festival attracts A-list talent on stage and in the audience, but the percentage of concert goers going simply to have their picture taken with the signature ferris wheel as the backdrop is growing by the year. 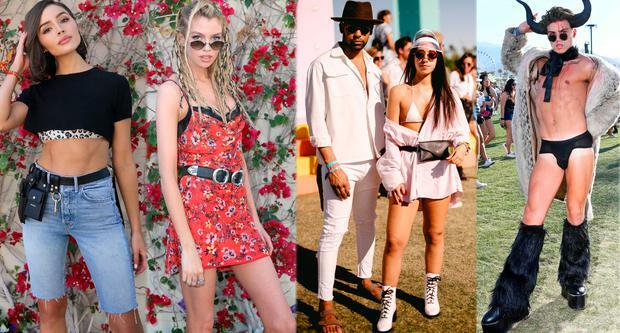 While Kate Bosworth, Alessandra Ambrosio and Vanessa Hudgens were once the Coachella queens who mastered the art of high-low boho chic and set global festival style trends, this year's crop - who spend the bulk of their time on social media - tends to attract a crowd more focused on clicks than actual style.